1. 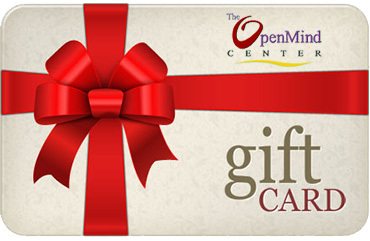 What is The Open Mind Center’s mission? The Open Mind Center’s mission is to become the most comprehensive center for holistic learning, creative expression, wellness, and inspirational products in the United States. We seek to bring together diverse ideas and experiences that heal the body, nourish the soul and awaken the spirit. We endeavor to provide personal and corporate development services that awaken the best in each of us. Through our products, customer care, employee relations, and community involvement, we consistently strive to make a constructive contribution to the well-being of all. 4. How do I contact the center? 6. Which methods of payment do you accept? We accept Visa, MasterCard, American Express, Discover Card, checks with a valid ID, and cash. Checks should be made out to “The Open Mind Center.” There is a $35 charge fee for checks returned for insufficient funds. For Single events, series, and workshops (including yoga): There are no refunds available. 8. Does The Open Mind Center ever cancel classes? The Open Mind Center reserves the right to cancel any program due to insufficient enrollment. Registrants will be notified by phone at least 24 hours prior to the event. A full refund will be issued via the credit card originally charged, or by check in the case of a cash or check payment. 9. How do I request CEUs or Certificates of Attendance?